Good morning! It's Sunday! What are your plans for the day? After a long, tiring Saturday, I'm glad to have the chance to slow down and take this day off! I'll probably sleep, eat, read the remaining Francine Pascal e-book called The Sweet Life (hooray Jessica and Elizabeth Wakefield fans!). Food, seriously, who can resist them? If you can, I salute you as I know I don't have the willpower! 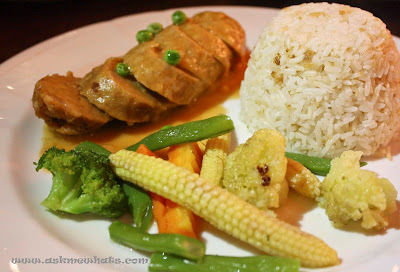 Especially if the food is from one of my favorite restaurant called Cafe Adriatico! I've reported my experience dining at the SM Mall of Asia branch but nothing beats the original! The one located at Malate! Another MUST! 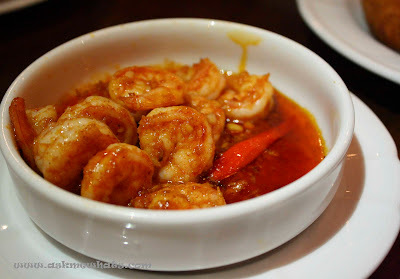 The shrimps served were big and really tasty! I can't help but save up the sauce to drizzle them all over my warm cup of rice! YUM! Because I've always been a fan of anything "croquettes", I immediately got attracted to the photo shown on the menu so I requested for this! So far, the combination of ham, chicken and mozzarella cheese is perfect! 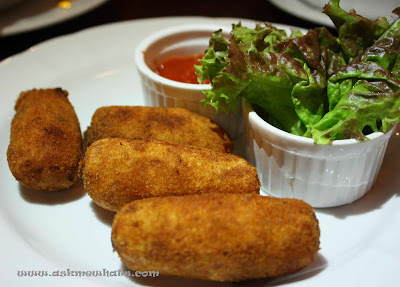 It doesn't taste like pizza like most croquettes do when mixed with cheese. 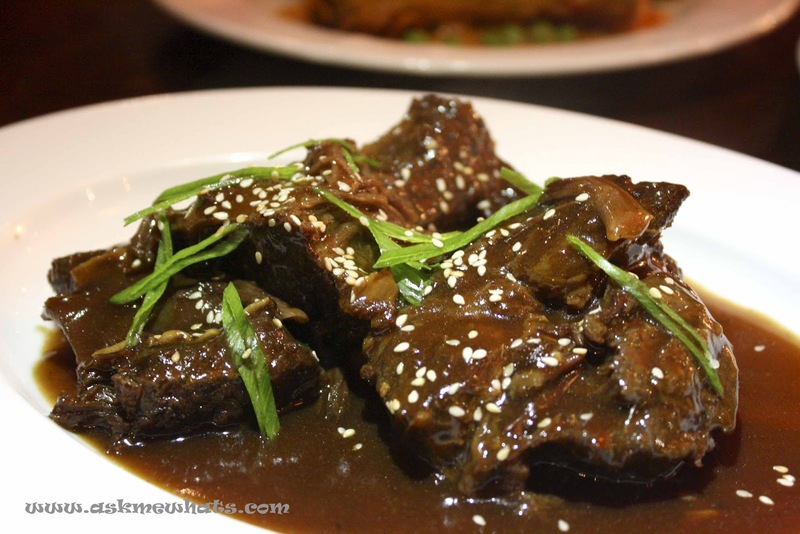 A different kind of "adobo" dish, the spareribs is obviously simmered into perfection as meat is super tender and the sauce is sweet and salty giving a nice tingling sensation to your taste buds on every bite! Most "Embutido" I tried are usually dry so it's a nice surprise this order came with sauce! The meatload doesn't have a lot of fat and tastes really good! Another 2 thumbs up! 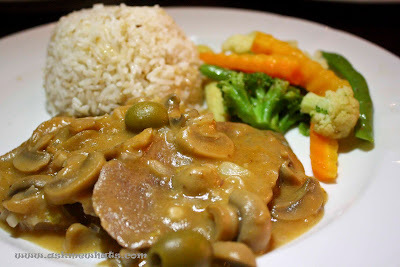 The ox tongue is very tender and the olives together with the mushroom sauce gives a nice "kick" to the dish! 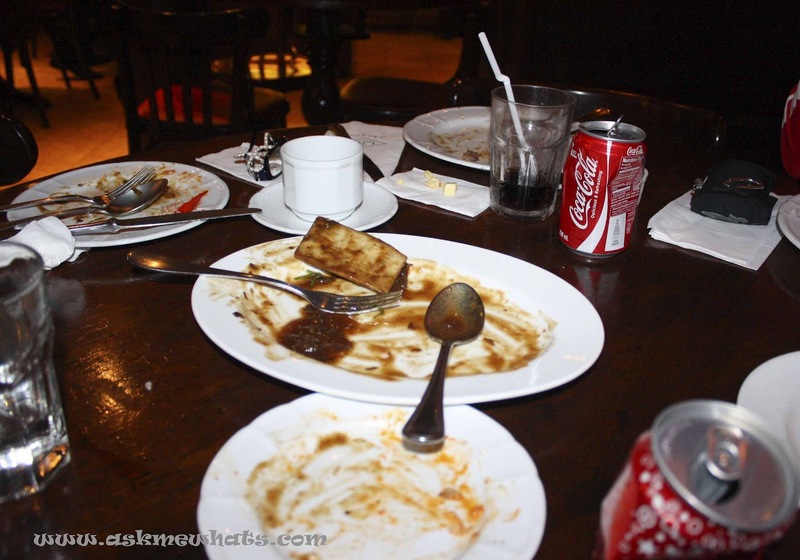 We weren't super hungry, it's just that, all the food served were good and we enjoyed every bite! The servers were prompt and friendly. Ample parking space at the circle. The restaurant accepts cash and credit card. Have you dined at Cafe Adriatico? the croquettes tastes good! 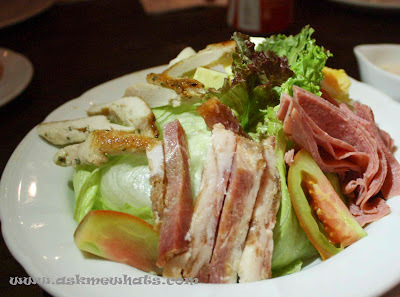 :) Have you tried Cafe Adriatico? Mukhang ang sarap naman ng food na yan..nakakagutom!! But it's kinda pricey..maybe for mga special occasions lang. Hehe. The gambas is AMAZING!!!!! MUST TRY!